The "Frisby Dog (for toddlers)" series of children's picture books, has been created with young children in mind. 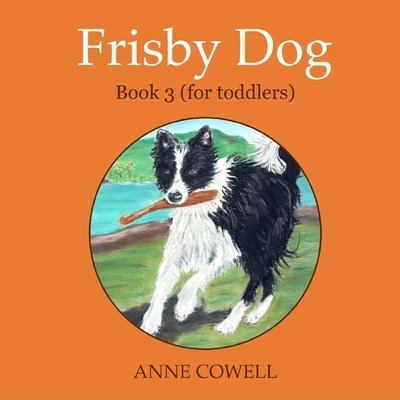 Based on the "Frisby" series for older children, this series for toddlers still has lots of colourful illustrations, but has fewer words and more repetition, so little ones should be able to grasp the story and relate to the puppy dog with ease. All the books are written from the dog's perspective and the child being read to is now the owner of the puppy. This book has four lines of rhyme and then two lines of partly repetitive rhyme to engage the toddler immediately. In this book the dog has lots of fun at the beach and with the child. The ever-increasing bond between the dog and child continues.